We've carefully curated the best products to make your wedding day memorable! We offer many creative ways to add special moments to your reception and exit. During the reception, our White LED Balloons are a beautiful addition to your decorations, providing a soft, classy glow to the ambience. Add a cake presentation that includes our Cake Sparklers for a dramatic flourish that looks incredible in photos! Be sure to coordinate with your cake decorator or baker so they're aware that you'd like to add them, and light them right before bringing the cake out into the reception hall. Everyone will love them! They're also available as a Bulk Pack at a significant discount for bakers, decorators, restuarants and other professionals who offer them to their clients on a regular basis. Then of course, there's the dance floor. If your wedding includes dancing, you and your DJ will love our confetti cannons! They're perfect for keeping the energy going, and great for indoor use. 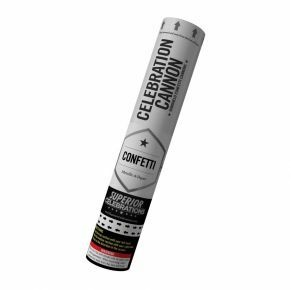 Our confetti cannons are easy, handheld launchers that are inexpensive and disposable after use. 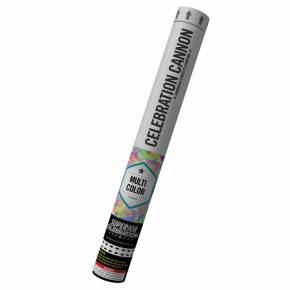 Our Wedding Confetti Cannon can also be used outside for your exit! Its white, rice-paper confetti slips are water-soluble for easy clean-up that will make everyone happy. Sky Lanterns, or Chinese Lanterns, provide a special and unique element to your wedding reception. You and your wedding guests will gather outside to decorate the night sky with a beautiful stream of glowing lights. Last but certainly not least, sparklers are an incredibly popular addition to your wedding exit, with good reason! 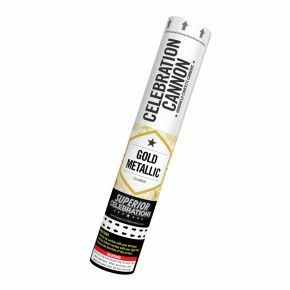 Our 20" Wedding Sparklers provide two minutes of golden sparks that look awesome in photos and are fun for everyone to use! For slightly longer exits or larger guest lists, our 36" Gold Sparklers last a full three minutes, giving you plenty of time to take in the moment and get incredible pictures! For a unique twist, we also offer Heart-Shaped Sparklers! They burn down both sides from the middle, giving twice as much sparkle for about 45 seconds.